Products from the Liquid Dewar (LD) series are the most popular dewars because of their simplicity in design and the variety of available sizes. 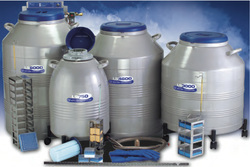 Comes in LN2 capacities of 4, 5, 10, 25, 35 & 50 liters. Click the picture for technical information and for prices. For long term storage at cryogenic temperatures the Extended Time (XT) series of dewars is the easiest and most economical choice. Comes in LN2 capacities of 3,8,10,20,21 & 34 liters. The High Capacity (HC) series of refrigerators are designed for storing large quantities of a variety of materials at cryogenic temperatures. Storage capacities range from 2940 to 9900 straws. 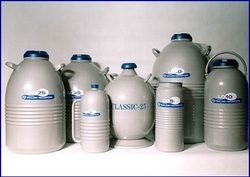 Comes in LN2 capacities of 12, 20, 34 & 35 liters. 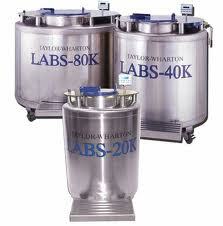 Taylor Wharton Laboratory Systems (LS) are uniquely designed for large vial capacity in convenient box-type storage racks with optional controllers and alarms available in some models. Storage capacities range from 750 to 6000 vials (2ml). 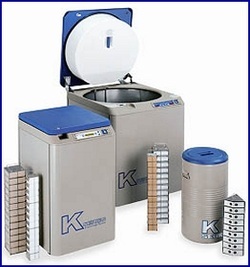 The CryoExpress (CX) series is designed to safely transport a variety of materials at cryogenic temperatures. Replaceable absorbent material is available in both models CX100 & CX500. 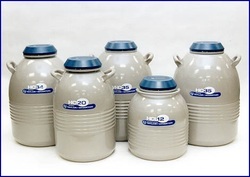 K Series cryogenic systems offer reliable LN2 storage with controllable temperatures and storage capacities ranging from 3,000 to 38,000 vials. The low profile LABS Series is designed to provide near LN2 temperatures at the top of the Inventory System and all racks are in vapor and can also be used in full liquid storage. All LABS feature the intuitive Kryos Control. Storage capacities range from 19,500 to 94,500 vials.